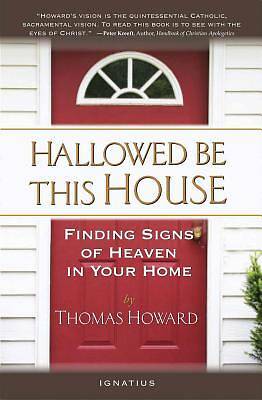 Thomas Howard shows us that every room of your house--the living room, the kitchen, the bedroom, and even the bathroom--is a holy place where God's grace awaits you, if only you know how to recognize His presence there. With a rich awareness of God's all-encompassing love, Howard takes you on a spiritual tour through your own home and shows you how everything in it can lead you closer to God.In each room, Howard shows you the surprising ways you can meet God there. With wonderful insights, he reveals how, even in your daily activities you can meet the same God who came to Israel in the terror, smoke and fire in the Tabernacle, and the God who died for us on Cross. But they're by no means confined to a lofty spiritual plane: Howard sees chances to love and serve God, and sees His gentle hand, in the most seemingly dull and ordinary of places and actions.So take up this book to find out how cooking and cleaning, having family dinners together, and all the other commonplace actions that make up the fabric of your daily life can actually disclose God's presence to you. Your daily life as well as your devotional life will be forever transformed by this unusual look at how lovingly God awaits us even in the smallest things.